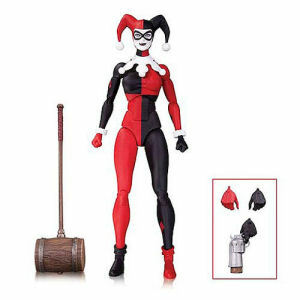 We have Just Sold out of DC Icons Harley Quinn Action Figure. This Item is unavailable at present. From the DC Comics Icons collection by DC Collectibles. DC Icons Harley Quinn Action Figure. Harley Quinn in her original design. She comes with hammer - pop gun - extra set of hands. Measures approximately 6 inches tall. Ages 15 and up.